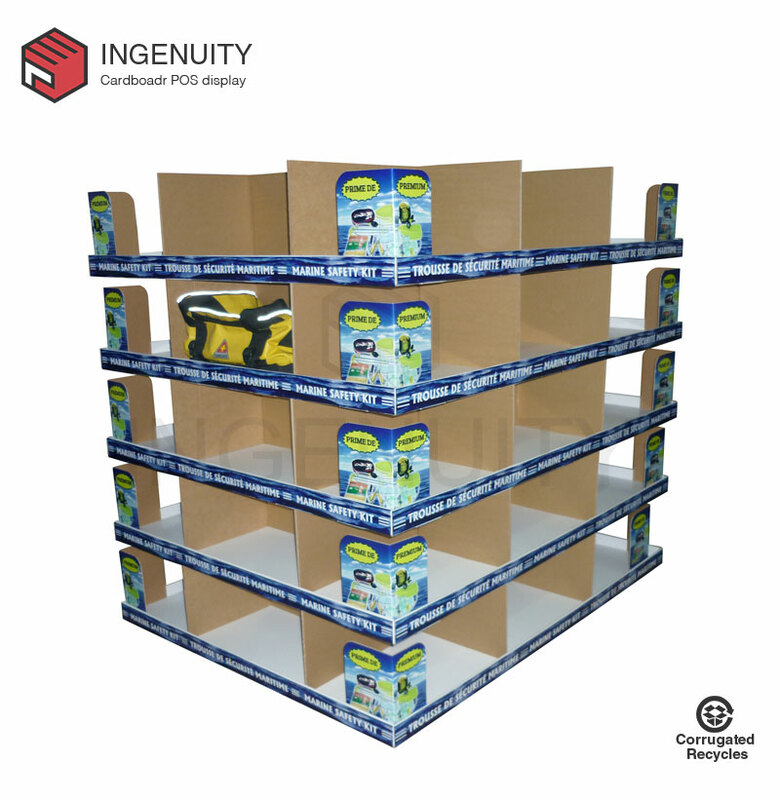 The design of the Cardboard Environmental Protection Pop Display frame requires the designer to be familiar with the 3D structure work, and the weight and volume of the cargo should be considered to calculate the bearing capacity and space area of the paper display stand. 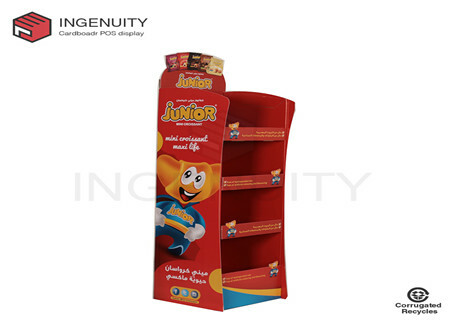 Paper display stands are generally made of non-printed corrugated paper. According to the design structure data, input the computer cutting machine, the cutting machine can make the standard flat paper display frame without printing corrugated paper according to the indentation strength and the half-knife depth required by the structural drawing. The designer uses glue to paste and other processes. If you make a template and match the design structure, you can proceed to the next step. According to the graphic design of the Cardboard Environmental Protection Pos Display model, the printing machine on the film is printed. Printing color paper over-glued, crepe paper (printing paper + corrugated paper), oil, indentation. Semi-finished paper display stands for assembly, reinforcement, and reloading of finished products.